Our flagship product! 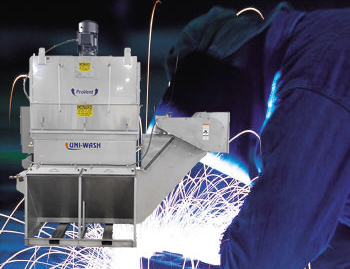 The Uni-Wash series of wet dust collectors has been continually manufactured for over 40 years! 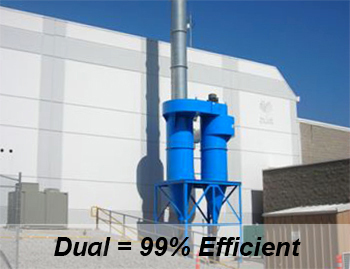 We are proud that this technology has stood the test of time and continues to be the most efficient wet dust collector in the industry. 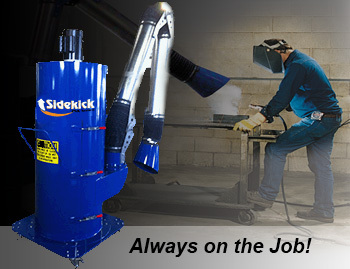 Our workhorse portable dust collectors are the toughest in the industry. With the optional extraction arm(s), these powerful units will capture dust at the source leaving your facility clean from ambient dust. 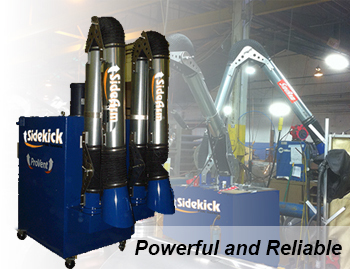 The Sidekick has enough power to be connected to duct work and used as a stand-alone system. 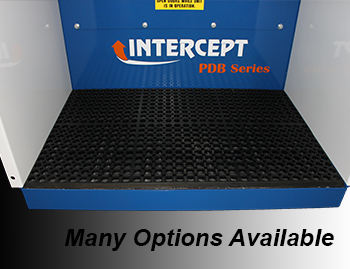 The Intercept PDB series of down draft tables offer many advantages over the competition. 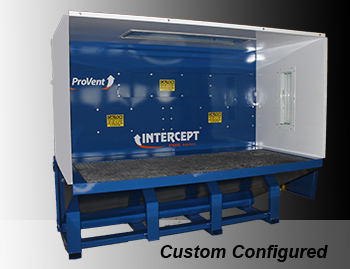 As true industrial equipment, the Intercept PDB has a very high air to cloth ratio. 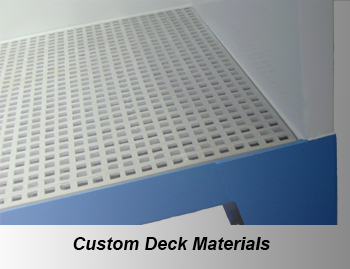 Additionally, the equipment’s ventilated area covers the complete area of the deck. 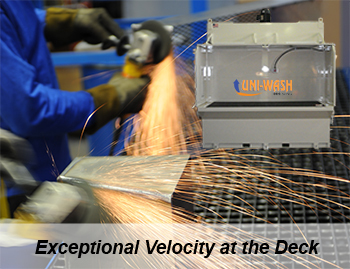 These performance features are accommodated while maintaining exceptional air velocity at the work surface. The Intercept WDT Walk Around Table is portable and self-contained. 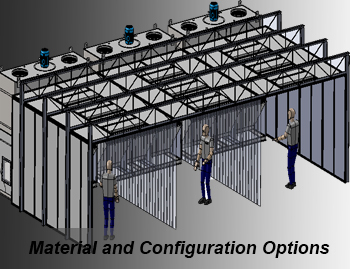 It allows 360 degree access to product with excellent down draft ventilation. 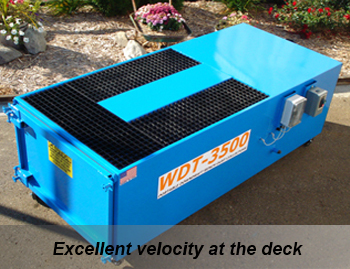 Powerful and industrial cloth to air ratio, the Intercept WDT will keep your facility clean. 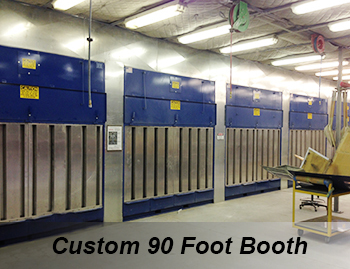 The DuraBench Ventilated Bench is a sturdy workbench ready to attach to an existing dust collection system. Sizes range from 24″ x 36″ to 36″ x 144″. 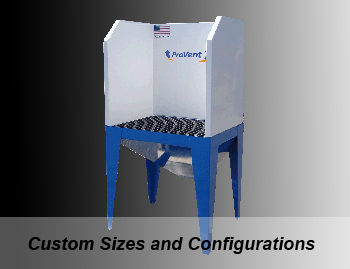 ProVent is able to customize your ventilated bench to work with your application with many options to choose from. 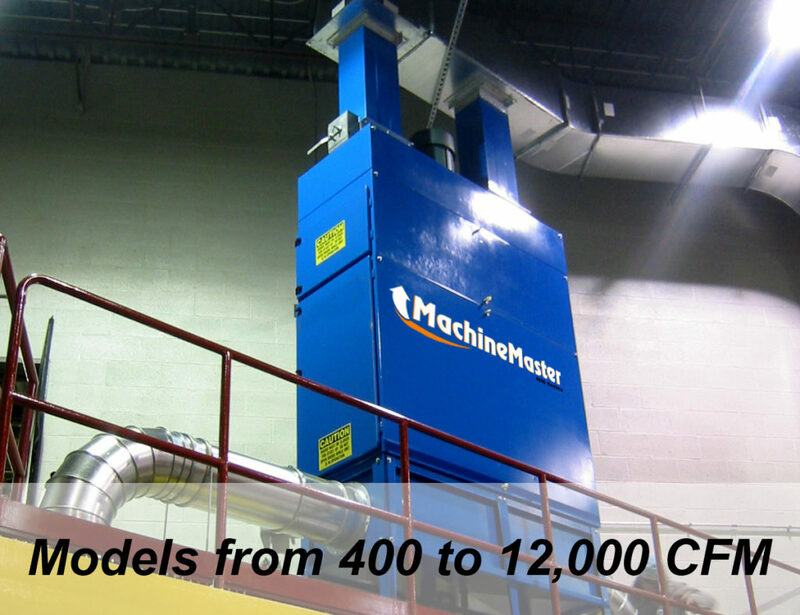 ProVent MachineMaster Oil Mist Collectors are an industry standard for the safe and effective removal of airborne process oil and coolant from industrial machining operations. 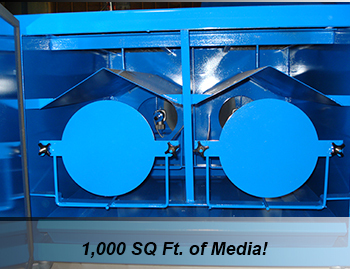 Sizes range from 400 CFM to 12,000 CFM. They use multi-stage, mechanical filtration. 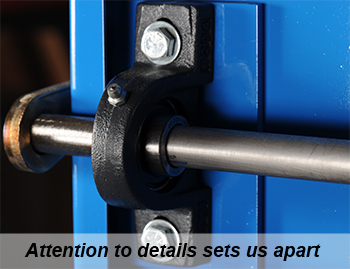 This makes them reliable, efficient, and easy to maintain. 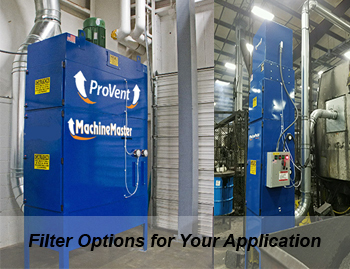 The solid welded Intercept PV Vertical Filter dust collector captures and removed most industrial and foundry dusts. 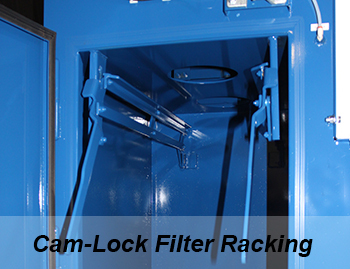 Auto-pulse filter cleaning increases the life of your filters and maintains airflow. Unlike other manufacturers, ProVent customizes the motor horsepower and fan to your application assuring that airflow and static pressure requirements are satisfactory. 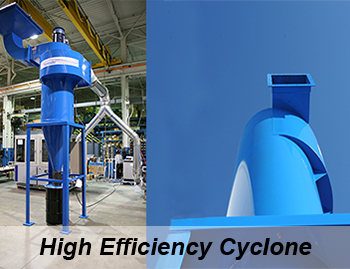 The Tornado TXE high efficiency cyclone utilizes a taller width to height ratio along with an involute inlet to increase collection efficiency. Unlike other manufacturers, ProVent customizes the motor horsepower and fan to your application assuring that airflow and static pressure requirements are satisfactory. The Intercept EWC booth cartridge collectors are custom sized for your application. 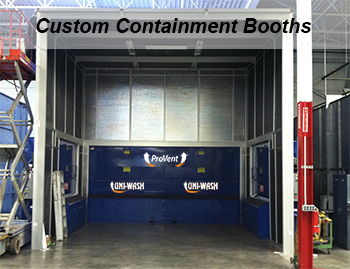 We provide excellent air velocity at the face of the booth to contain process dust from escaping into the ambient facility air. 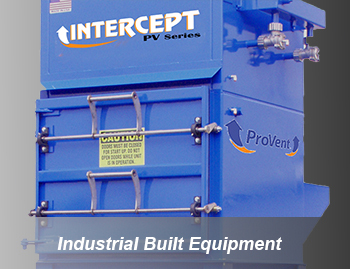 The Intercept EWC is designed for simple cartridge filter changes and easy dust tray removal. 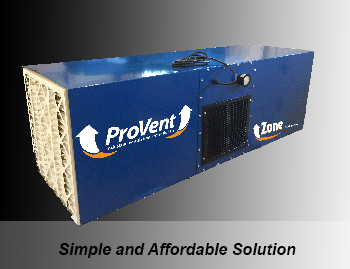 The Zone ambient dust collector continually polishes the air keeping your facility clean and breathing air purified. The Zone is an excellent addition to any dust collection process. Various mounting capabilities allow the zone to be placed where it is needed the most. 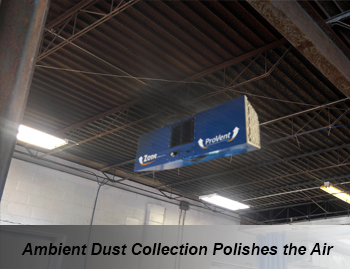 With over 40 years experience, ProVent Dust Collectors have stood the test of time.